Otherworldly is a gorgeous deep pool blue neon polish with the same silver holo-in-some-lights glitter as Color Club You Got Soul-ar. 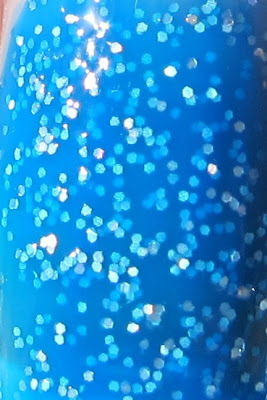 I say "holo in some lights" because you see the rainbow effect in bright lights and sunlight, but indoors it kind of looks like regular silver glitter. 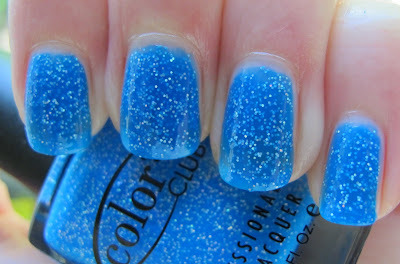 Again, neon and glitter for me is a total win, plus this blue makes me want to dive into the ocean. This has the same great formula as You Got Soul-ar, thin, but not too thin, very easy to apply. 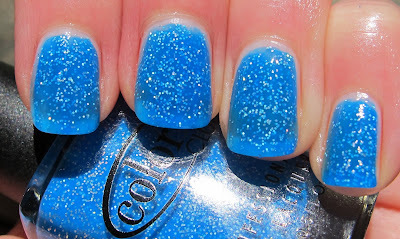 This is three coats and there is some VNL, but it's a neon and they do quite often have some VNL. It does not bother me at all in this case. I'm definitely just going to have to buy the rest of this collection. It's too good to only own three. Plus, the purple one (Wink, Wink, Twinkle!) looks TDF!! 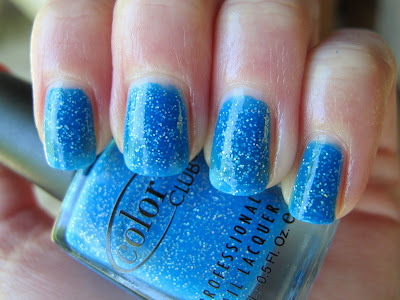 The Color Club Starry Temptress collection is available at Victoria's Nail Supply. Sparkles AND neon together make this a must-have for me! Love it!